Join me in the Inspiration and Transformation Suite! Darcel Dillard-Suite is a Motivational and Keynote Speaker, Life Coach, Author and Professional Journalist. Darcel believes in taking her audiences on a transformative journey to find the “best self” and doing so with a powerful voice of wit and humor that fuels change. Darcel has a passion for women, family, youth, education/awareness and overall empowerment issues. Darcel is a founding member and co-president of Full Circle Health, PLLC and Executive Director of the not for profit, Full Circle Life Enrichment Center. Both centers are known for their committment to mental wellness and transforming lives. She has successfully assisted individuals, couples, and families to cope with the problems of daily life while equipping them to develop their strengths, abilities and competencies. As a speaker she motivates, gently agitates and empowers her audiences to push out of their comfort zones into their true asspirations and dreams. Darcel has been a keynote to college/universities, facilitator to hundreds of corporate workshops and conferences and a speaker on a range of topics from healthcare to business. She is invested in making a difference with her words,voice and ability to connect with real people. Before becoming a life coach, Darcel spent over 20 years in national news production and public relations. She has enjoyed educating millions of Americans on every major news issue through her stories as a senior national news producer for CBS News, McNeil Lehrer NewsHour and FOX News Channel. Darcel has also worked as a senior producer and media consultant for the Discovery Channel, the Montel Williams Show and NBC News. Darcel earned her Bachelor's degree from Barnard College,and her Masters degree in journalism from Columbia University, where she taught as an adjunct professor and mentor. She has also received certificates and completed course work from the Dartmouth’s, Tuck School of Business for Managers and Life Coaching from the Spencer Institute. Her favorite downtime journey takes her on the beaches of Jamaica, her lakeside cottage and getting lost in good books and movies over ice cream and chocolate. Hotfoot Sally and Firefoot Sue:Girlfriend Reflections on Life Girlfriend reflections is a non fiction book of poetry and essays that celebrate life love and faith. It empowers, educates and informs the reader about life choices and lessons learned. A good read for men and women seeking an honest look at life, faith, family and matters of the heart. Fruit of the Spirit:Thorns in Our Flesh The Fruit of the Spirit: Thorns in Our Flesh, is a user friendly guide taken from the journals of the authors on how to strengthen your marriage by implementing the 9 biblically based fruit of the spirit virtues: Love, Kindness, Gentleness, Meekness, Faith, Peace, Self-Control, Joy, and Goodness. Through personal stories and professional expertise, this book will encourage, empower and help you employ new techniques to keep your relationship “fresh”. Suite Tips: Life Hacks For A Good Life! Suite Tips by Darcel Dillard Suite. Tips for very day life from Life coach and author for your stressful days. Short life hacks for your soul! Long Life Short Stories A collection of short stories from the life of Author and life coach Darcel Dillard-Suite. Inspirational insight to her struggles that inspire s life of motivating other to success! 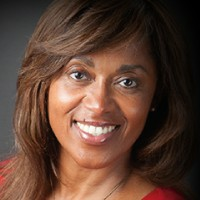 Find out more about Darcel Dillard-Suite at http://www.darceldillardsuite.com.